In computer science and engineering, Computer Architecture is the science and art of choosing the appropriate hardware and their sub-components to make a computer. The computer thus made has to fulfill all the functional performance and had to meet financial requirements. Computer architecture directly impacts the implementation of a program and mentions those parameters of the system which can be seen by a developer. Architecture may encompass several levels of information. 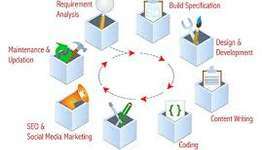 For creating resourceful systems which can perform computing tasks, a computer architect has to design numerous levels of abstraction and defines technological and business aspects. Computer architecture is built on the basis that it will serve required purpose which is mostly logical. The earlier architecture focuses on how the CPU (Central Processing Unit) works and how memory of a computer is accessed by it whereas now focus has shifted to include cluster programming and Non-Uniform Memory Access (NUMA). Instruction Set Architecture (ISA): A central processor unit reads and executes the code which is the assembly language or machine language. ISA includes these languages along with word size, processor register, address modes, instruction set, and various data and address formats. Micro-architecture: It gives the information about the data paths, data processing and data storage elements, and assists in how they can implement the ISA. It is also called Computer organization. Hierarchies and memory controllers that control the handles to and fro motion of data to main memory. Direct memory access (DMA) independently access computer memory i.e. without the CPU. Various issues such as processing of various threads at a same time or techniques like virtualization etc. The major design goals kept in mind while designing computer architecture are performance and power consumption. It you face any challenge with respect to computer architecture, you can get in touch with our experts they will be able to help you in making projects, research reports and dissertation work. They can also help you through online tutoring sessions in clearing your doubts. For help in programming assignment or similar computer architecture assignment help, contact our team of programming experts or send your assignment directly by visiting /send-your-assignment/.